Search teams find two bodies, continue searching for third. Israel Police announced on Monday evening that the search for the three missing Israelis had yielded two bodies. The bodies have not yet been identified, but were found in the area designated as where the three were last seen. "A sonar-equipped ship belonging to the Israel Police succeeded in showing submarines where the bodies were located, and helping them bring the bodies to the shore for identification," an Israel Police spokesman said. "The fact that the bodies were found in the suspected area shows that we carried out the search in a professional and efficient manner." Rescue teams are still working to find the third body. 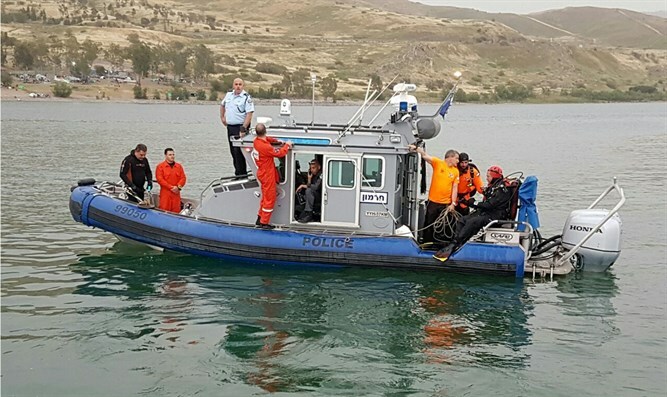 19-year-old Itamar Ohana, 21-year-old Nahman Itah, and 17-year-old Liron Karadi went missing on Wednesday while rafting on the Kinneret.